Santral venöz kateterler(SVK) günümüzde modern tıbbın vazgeçilmez tanı ve tedavi uygulamalarındandır. SVK'ler venöz damarların kullanılamaması gibi durumlarda kullanılan pratik bir yoldur. SVK gerekli önlemler alınmazsa ciddi komplikasyonlara neden olmaktadır. Kateteterle ilgili en ciddi komplikasyon kateter enfeksiyonudur. Hastaların ve çalışanların konforunu arttıran santral kateter komplikasyonları morbidite/mortaliteyi ve hastanede kalış süresini arttırmaktadır. Hekimler tarafından takılan SVK’lerin bakım ve günlük kontrolünden hemşireler sorumludur. Günlük bakım ve etkili hemşirelik uygulamaları ile enfeksiyonlar önlenerek hastanede kalış süresi kısalmaktadır. Kateter enfeksiyonu, hemşirelik bakımının göstergelerinden biridir. Bu derlemede santral kateter enfeksiyonunu önlemeye yönelik sistematik derlemeler ve kanıta dayalı uygulamalar incelenmiştir. Derlemede yer alan bilgilerin mesleki literatüre katkı sağlayacağı ve hemşirelere klinik ortamda rehber olacağı düşünülmektedir. 1. Freytes CO. Indications and complications of intravenous devices for chemotherapy. Current Opinion in Oncology.2000;12(4):303-307. 2. Camp-Sorrell D. Clinical dilemmas: vascular access devices. In: Seminars in Oncology Nursing. 2007:232-239. 3. Raaf JH. Results from use of 826 vascular access devices in cancer patients. Cancer.1985;55(6):1312-1321. 4. Dakak M, Gürkök S, Genç O, Gözübüyük A, Yücel O, Çaylak H, Balkanlı K. Subklavian kateter uygulaması ve komplikasyonları. Solunum Hastalıkları.2002;13, 288-291. 5. Altuntaş F, Yıldız O, Ünal A. Hematolojik Maligniteli Hastalarda İntravenöz Kateter İnfeksiyonları. Erciyes Tıp Dergisi.2004;26(1):25-32. 6. Fraenkel DJ, Rickard C, Lipman J. Can we achieve consensus on central venous catheter-related infections. Anaesthesia and Intensive Care.2000;28 (5): 475. 7. Perdikaris P, Petsios K, Vasilatou-Kosmidis H, Matziou V. Complications of Hickman-Broviac catheters in children with malignancies. Pediatric Hematology Oncology. 2008; 25(5): 375-384. 8. Harter C, Salwender HJ, Bach A, et al. Catheter-related infection and thrombosis of the internal jugular vein in hematologic-oncologic patients undergoing chemotherapy. Cancer. 2002; 94(1): 245-251. 9. Merrer J, De Jonghe B, Golliot F. Complications of femoral and subclavian venous catheterization in critically ill patients: a randomized controlled trial. Jama. 2001; 286(6): 700-707. 10. O'grady NP, Alexander M, Burns LA, Dellinger EP, Garland J, Heard SO, et al. Guidelines for the prevention of intravascular catheter-related infections. Clinical Infectious Disease.2011;52(9):162-193. 11. Yilmaz G, Caylan R, Aydin K, Topbas M, Koksal I. Effect of education on the rate of and the understanding of risk factors for intravascular catheter–relatedinfections. Infection Control and Hospital Epidemiolog.2007; 28(6):689-694. 12. Orak M, Üstündağ M, Güloğlu C, Aldemir M, Doğan H. Santral venöz kateter takılan hastalarda komplikasyon gelişimi üzerinde etkili faktörler. Turkish Journal of Emergency Medicine.2006;6(2):051-055. 13. Kuter DJ. Thrombotic complications of central venous catheters in cancer patients. The Oncologist.2004;9(2):207-216. 15. Theaker C. Infection controlissues in central venous catheter care. Intensive and Critical Care Nursing. 2005; 21(2): 99-109. 16. Ulusoy S. Hastane Enfeksiyonları ve Kontrolü Derneği, Damar İçi Kateter Enfeksiyonlarının Önlenmesi Çalışma Grubu. Damar içi kateter infeksiyonlarının önlenmesi kulla¬nım kılavuzu. Hastane İnfeksiyonları Dergisi. 2005; 9(1):11-32. 17. Viot M. Intravenous access: related problems in oncology. İnternational Journal of Antimicrobial Agents. 2000; 16(2): 165-168. 18. Mermel LA. Prevention of intravascular catheter-related infections. Annals of Internal Medicine. 2000;132(5):391-402. 20. Moretti EW, Ofstead CL, Kristy RM, Wetzler HP. Impact of central venous catheter type and methods on catheter-related colonization and bacteraemia. Journal of Hospital Infection. 2005; 61(2):139–145. 21. Bishop L, Dougherty L, Bodenham A, Mansi J, Crowe P, Kibbler C, et al. Guidelines on the insertion and management of central venous access devices in adults. International Journal of Laboratory Hematology.2007; 29(4):261-278. 23. Maki DG, Ringer M, Alvarado CJ. Prospective randomised trial of povidone-iodine, alcohol, and chlorhexidine for prevention of infection associated with central venous and arterial catheters. The Lancet. 1991;338(8763):339-343. 24. Chaiyakunapruk N, Veenstra DL, Lipsky BA, Saint S. Chlorhexidine compared with povidone-iodine solution for vascular catheter-site care: a meta-analysis. Annals of Internal Medicine. 2002;136(11):792-801. 25. Mimoz O, Pieroni L, Lawrence C, Edouard A, Costa Y, Samii K et al. Prospective, randomized trial of two antiseptic solutions for prevention of central venous or arterial catheter colonization and infection in intensive care unit patients. Critical Care Medicine. 1996; 24(11):1818–1823. 26.Timsit JF, Mimoz O, Mourvillier B, Souweine B, Garrouste-Orgeas M, Alfandari S, et al. Randomized controlled trial of chlorhexidine dressing and highly adhesive dressing for preventing catheter-related infections in critically ill adults. American Journal of Respiratory and Critical Care Medicine. 2012;186(12):1272–1278. 27. Infusion Nurses Society. Infusion nursing standards of practice. Journal of Infusion Nursing 2011;34(1):45-59. 28. Timsit JF, Bouadma L, Ruckly S, Schwebel C, Garrouste-Orgeas M, Bronchard R, et al. Dressing disruption is a major risk factor for catheter-related infections. Critical Care Medicine. 2012;40(6):1707–1714. 29. Timsit JF, Schwebel C, Bouadma L, Geffroy A, Garrouste-Orgeas M, Pease S, et al. Chlorhexidine-impregnated sponges and less frequent dressing changes for prevention of catheter-related infections in critically ill adults: a randomized controlled trial. Jama. 2009;301(12):1231-1241. 30. Rasero L, Degl’Innocenti M, Mocali M, Alberani F, Boschi S, Giraudi A, et al. Comparison of two different time interval protocols for central venous catheter dressing in bone marrow transplant patients: results of a randomized, multicenter study. The Italian Nurse Bone Marrow Transplant Group (GITMO). Haematologic. 2000; 85(3):275–279. 31. Zakrzewska-Bode A, Muytjens HL, Liem KD, Hoogkamp-Korstanje JA. Mupirocin resistance in coagulase-negative staphylococci, after topical prophylaxis for the reduction of colonization of central venous catheters. Journalof Hospital Infection. 1995; 31(3):189–193. 32. Hong H, Morrow DF, Sandora TJ, Priebe GP. Disinfection of needleless connectors with chlorhexidine-alcohol provides long-lasting residual disinfectant activity. American Journal of Infection Control .2013;41(8):77–79. 33. Casey AL, Worthington T, Lambert PA, Quinn D, Faroqui MH, Elliott TS. A randomized, prospective clinical trial to assess the potential infection risk associated with the Posi Flow needleless connector. Journal of Hospital Infection. 2003;54(4):288–293. 35. Halm M, Hickson T, Stein D, Tanner M, Vande Graaf S. Blood cultures and central catheters: is the “easiestway” bestpractice?. American Journal of Critical Care.2011;20(4):335-338. 36. Mermel LA, Allon M, Bouza E, Craven DE, Flynn P, O’Grady NP, et al. Clinical practice guidelines for the diagnosis and management of intravascular catheter-related infection: 2009 update by the Infectious Diseases Society of America. Clinical Infectious Diseases. 2009;49(1): 1-45. ISNAD Kurt, Berna . "Santral Venöz Kateter Enfeksiyonlarını Önlemeye Yönelik Kanıta Dayalı Hemşirelik Uygulamaları". 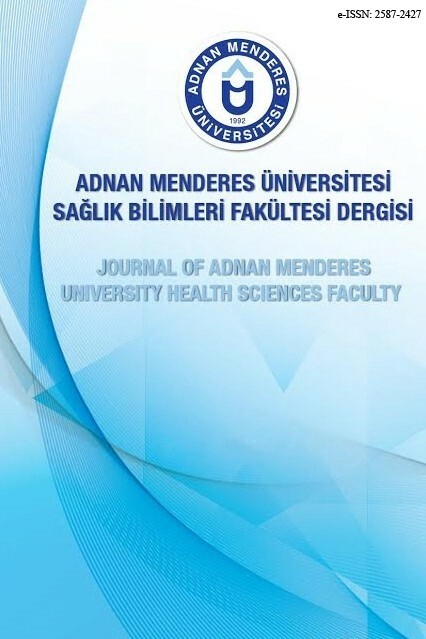 Adnan Menderes Üniversitesi Sağlık Bilimleri Fakültesi Dergisi 2 / 3 (October 2018): 148-154.